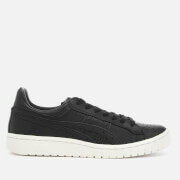 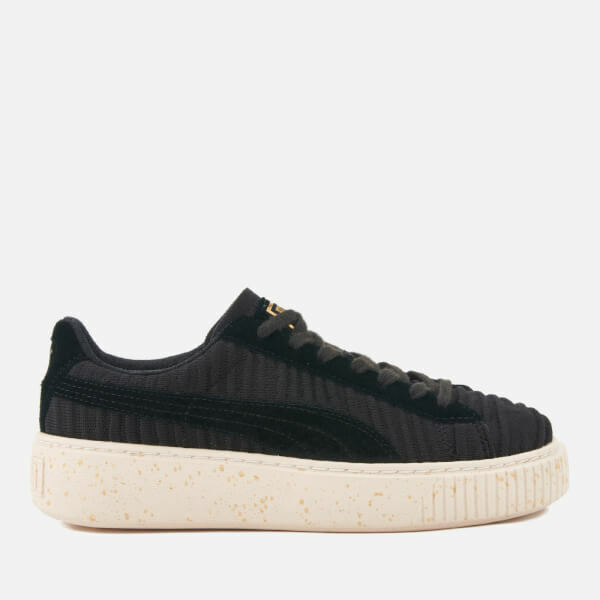 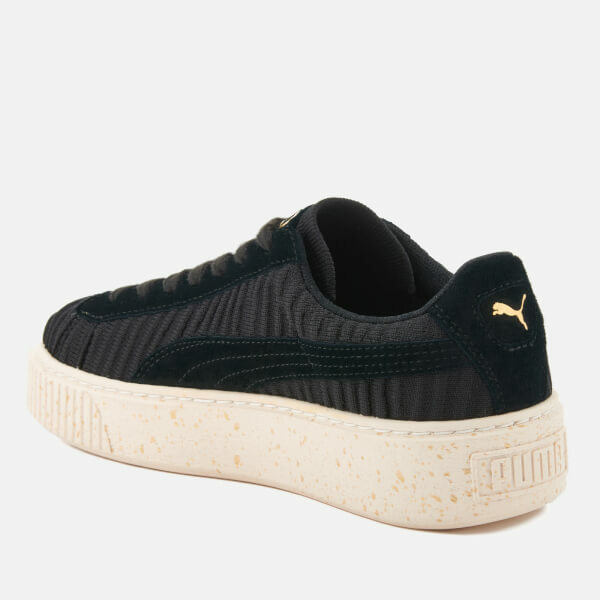 Women's platform trainers from Puma with a textured evoKNIT upper and contrasting suede accents. 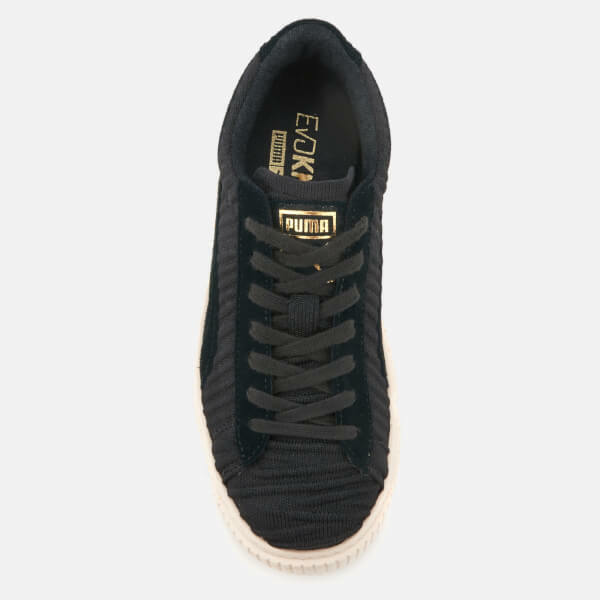 A rounded toe, a lace-up closure and a padded micro-mesh lining form the construction. 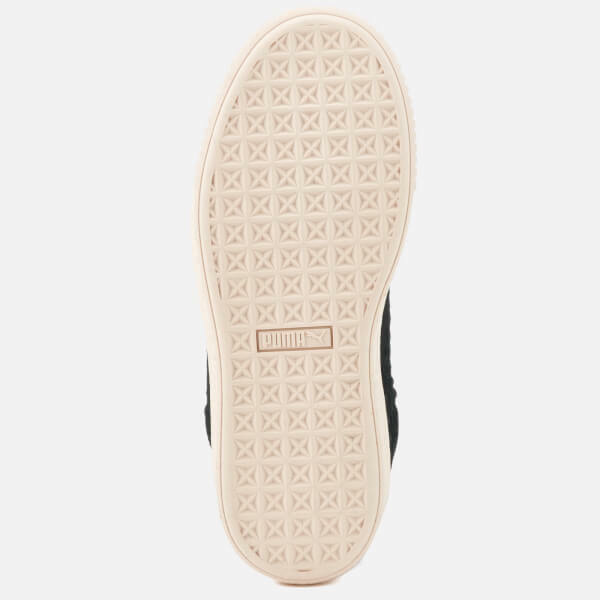 Set on a chunky rubber sole accentuated with a flecked design and a durable tread. 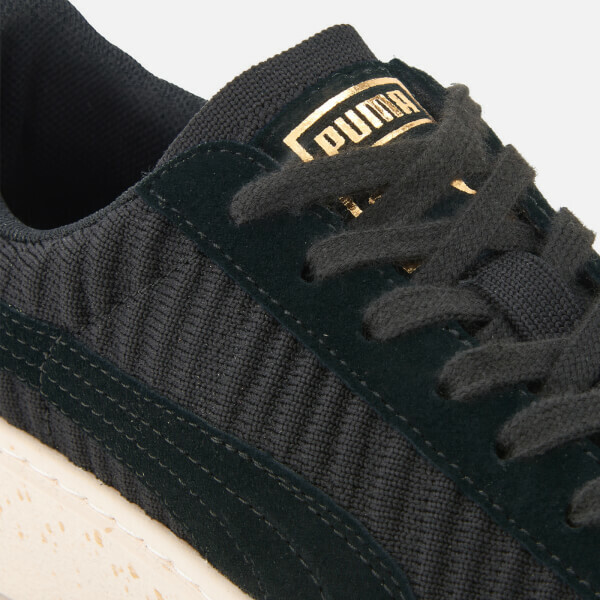 Complete with gold-toned foil branding.